The proper way to start this article is first to say Cheers! America, especially after the recent report released by the IWSR. As the leading source of all data on any beverages containing alcohol, it was found that 3,345 billions of 9-litre cases of liquor were enjoyed in 2018 alone, and that is only in America. Regardless of how you prefer to look at this, you’d have to try and visualise either 7,952,899,636 gallons of alcohol or 160 million bathtubs filled with alcoholic refreshments. It sounds like an enormous amount, although in reality, it is less than the previous years. The alcohol volume enjoyed by Americans decreased by 0.8% last year, which showed a decline of 0.7% in 2017. This is due to the weakened sales in beer, according to the figures released by the U.S. IWSR. The interest in craft beer remains to be, and it is supported by the increase in sales in 2018 that raised by 4.7%. The overall market in alcohol suffered a decrease in big beer brands, which includes major brands such as Budweiser. When it comes to yearly sales, spirits enjoyed a good year overall with an increase in sales overall of 1.9%. Standouts in different categories include an impressive rise of 32.4% in mezcal, an 8.5% increase in sales of tequila and whiskey sales went up by 4.1%. The wine remained a favourite and enjoyed a rise in sales for the 24th year in a row. Currently, there are more than 13,000 wineries in the UA and these increase by an estimated 1,000 per annum. The most significant gains for the year in 2018 was Prosecco. The recently released reports also indicate that consumers are not loyal to one brand on a category. This leads to fewer sales volumes in exclusive brands, yet an overall increase in sales. Brandy Rand, the president of the U.S. IWSR as well as the Chief Marketing Officer globally, feels it is due to the legal age of drinking. Whether you’re a sports fan, first time visitor or a US resident at some stage you’re going to enjoy a beer. Apart from 7,000 breweries providing microbreweries and pubs, the beer sales are around 196 per capita. In 2011 the USA was ranked 15th on the list of countries according to beer consumption. The most beer consumption per capita was China. Beers that are most popular in America and served in almost all pubs or sports bars are Cream Ale, Amber Ale and Pale Lager. 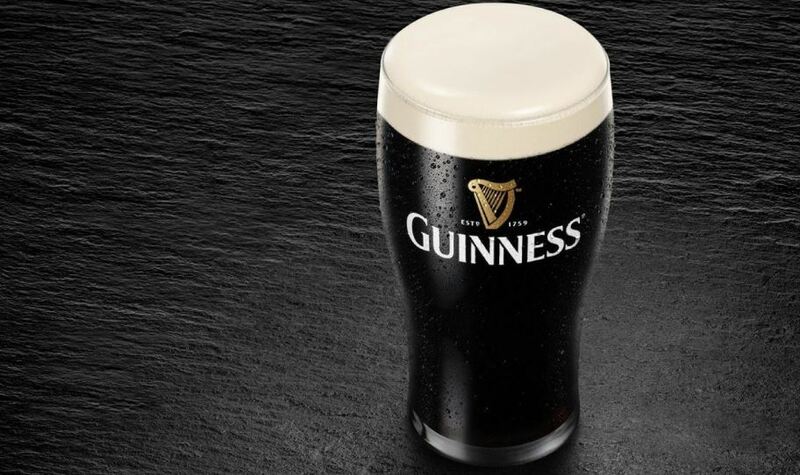 The most popular beer in America is Guinness and 1.1-millions of barrels were shipped in 2017. The most popular in the world according to recorded sales last year is Snow selling beer worth 101.2 million in volume. Budweiser is second on the list with a capacity of 49.2 million and Tsingtao came third with a volume of 49 million. The oldest bars in America is the best suited when you want to enjoy a night out, especially when you want to add a bit gravity to it. 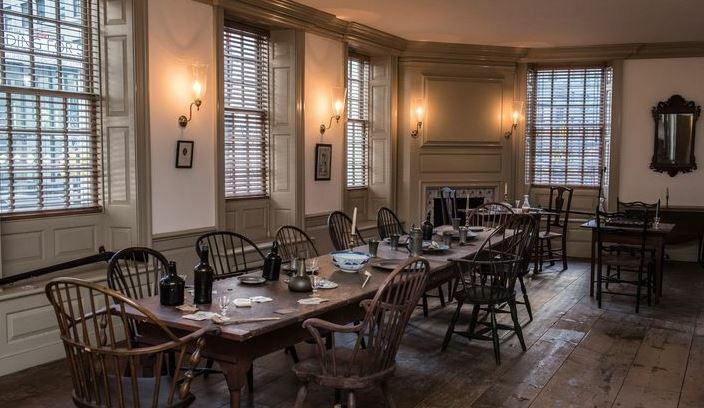 Founded in 1762, the Fraunces Tavern once was the place where the Song of Liberty met. The bar at Pearl and Broad in Manhattan hosted icons all through the 18th century; these also included General George Washington. This was also the spot where President Washington actually in 1783 bid farewell to the Continental Army. Based in Rhode Island, the White Horse Tavern was founded in 1673; it remains the United States’ oldest bar by beating the Fraunces Tavern based in New York by almost a century. The White Horse Tavern is an over 350-year-old bar visited by discerning drinkers and fine diners wishing to enjoy its culinary expertise and honour its history. When talking to the staff of the White Horse Tavern, they quickly tell you that their 17th-century tavern serves the best 21st-century taste available in Rhode Island. Once the base of operations, in the late 1700s, this tavern-based in New Orleans was known for the practices of its owner, a spy, pirate and also a Battle of New Orleans hero. Still used as a bar, Jean Lafitte’s Blacksmith Shop’s story continues and remains not only one of the oldest bars but also the most favoured watering hole. Founded in 1795, the Bell in Hand Tavern belonged to Jimmy Wilson a town crier in the 18th century that heralded in the nation’s birth. Since 1795 every Bostonian raises a glass their luck, success or wealth at Wilson’s bar. It is claimed that if you listen carefully, you might hear the echoes of voices from more than 200 years ago. 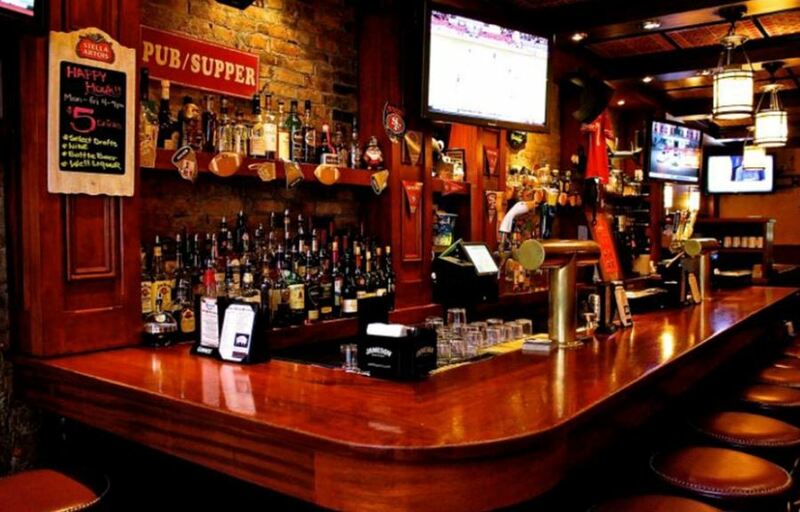 Founded in 1864, Pete’s Tavern is based in New York City, and even though it has not reached the historical age of the Fraunces Tavern, it remains the pub that offers the most extended continues service in New York. Pete’s Tavern serves the best beverages to the busy populace of Manhattan and is loved for its Italian cuisine and historical atmosphere. Founded in 1856, Old Ebbitt Grill is the oldest Washington D.C. and favoured by the political elite. Some of its earliest guests include Theodore Roosevelt, President Harding, President Cleveland and President Grant. The main reason Old Ebbitt Grill remains hugely popular is an excellent service as well as the fact that it is located only a few steps away from the White House. In a city that is filled with history, Old Ebbitt Grill is a gem offering out-of-towners a glance at the Washington Monument and the White House in the distance, while the food is a treat in the District of Columbia. Other pubs well worth visiting is Jessop’s Tavern, founded in 1724 based in Delaware and New Orleans it is the Napoleon House open since 1797. The days when John Wayne dominated the big screen and television are somewhat in the past, and many may think the old west is on its last legs. Western Saloons started back in 1832 when the U.S. Congress passed the Tavern and Pioneer Inn law. This allowed pioneers and settlers to visit establishments that served alcohol to passers-by even if they did not book a room for the night. Saloons became the norm in every settlement and village quenching the thirst of trappers, cowboys and miners. Gambling halls, brothels and saloons appeared almost overnight in Colorado, and the town prospered and blossomed into one of the largest cities. Over 150 resorts ranging from elaborate concert halls to small saloons offered gambling opportunities. Gamblers such as Ben Thompson, Doc Holiday, Luke Short and Bat Masterson spent a lot of time in the town. The most significant amount according to history was $3,000 dropped in one night on Faro, and when it went wrong, Thompson used his six-shooter, and while panic-stricken patrons ran to the exit, he shot out all the lights. Several True Western Saloons are still open today and invite travellers to wet their whistle at the most historic saloons of the wild west. 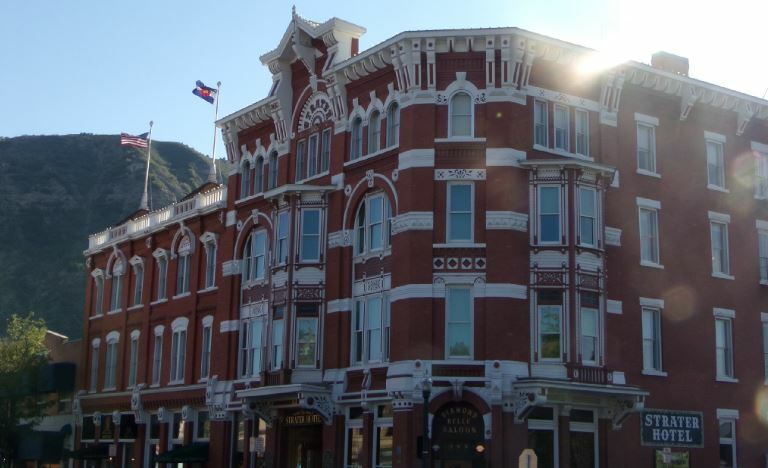 Colorado is home to no less than nine of the oldest bars, and these include The Café Bar, Silver Dollar Saloon, Buffalo Rose Saloon and the Mint Saloon. The oldest saloon in Colorado still uses the original name, and a visit to the Mint Saloon takes you back to 1862. 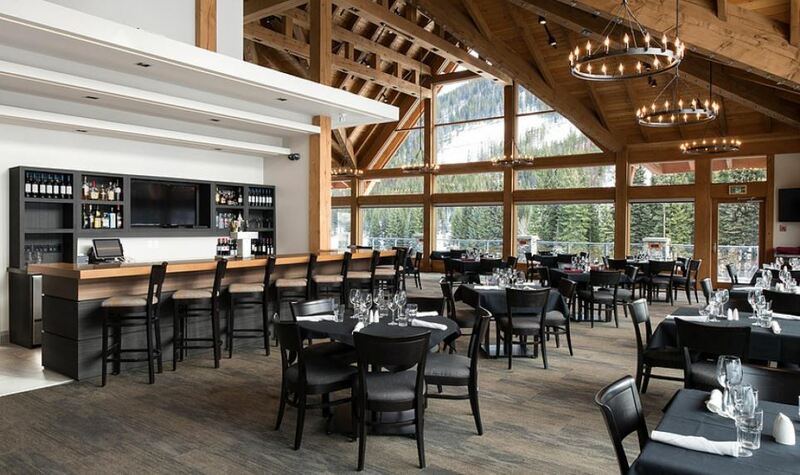 The building is in mint condition and offers some of the best cocktails plus you get to grill your stake over the 1,100-degree lava rock grill. Named after the image of a woman’s face that was mysterious and spotted on the barroom floor, the Face Bar is in Central City. Build in 1936, Herndon Davis a local artist did several paintings the last was that of the woman’s face that remains a mystery to this day. A favourite watering hole for the most famous outlaws such as Doc Holliday, the Silver Dollar Saloon got its name after prohibition ended. Driving down Leadville’s main street the hitching posts and old wood building of the saloon are hard to miss. One of the oldest southwest bars in Colorado is also called the Slopper birthplace, which is a burger hid in chilli. Gray’s Coors Tavern has been around since 1934. Gray’s Tavern today offers a bar and grill, and it is a sports bar. Visiting New York is one of the most exciting trips and always include the bright billboards of Madison Square. 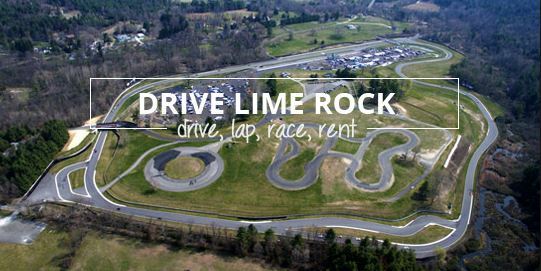 While sports enthusiasts also include the Roosevelt Field Mall and the Yankee Stadium in their list of places to see. The Steiner Sports shop at the Yankee Stadium is another excellent addition to your visitor’s record as it is one of the one-stop shops for sports memorabilia. The Steiner Sports shop stocks a carefully curated selection of hockey, baseball, football and basketball memorabilia including photos, jerseys, and sneakers autographed by some of the biggest sports legends. It is also the best place to find autographed sports illustrated and vintage magazines. The soccer memorabilia include several collectables such as the autographed FC Barcelona- Lionel Messi Mosaic Limited to 20 framed Tegata available at $7,500. The unframed limited to 50, Barcelona colours of the game photograph, autographed by Lionel Messi is available at $1,000 and the Everton Blue Nike Jersey autographed by Landon Donovan is prized $600. The last game-used New York Yankees set of clothes by Alex Rodrigues including a hat and #13 home jersey is available at $49,999.99 while other items include the Yankee stadium seat pair for $1,999.99. The set made up of a hat and jersey worn by Joe Girardi for $1,999.99. Items autographed by Michael Jordon includes the ultra-rare Tiger Woods, Michael Jordan and Mohammed Ali signed – an unframed photograph of the golden sports legends available at $8,500.00. Other autographed Michael Jordon memorabilia also includes the North Carolina Flight available framed at $5,000.00 and Slam Dunk Backboard for $4,000.00. There’s also a Chicago Bulls 1985 Mitchell & Ness embroidered jersey for $3,600.00 and Red 1989 NBA All-Star Jersey for $3,500.00. The most valuable collectables include a range of baseballs. The Frank Home Run Baker signed ball is available at $39,999.00 and the Walter Johnson University League single signed baseball is $19,999.00. Baseball single approved Cal Hubbard OAL Cronin $14,999.00, and the NFC Championship ring of the New York Giants in its display box is $12,999.00. The 2018 #93 Mika Zibanejad New York Rangers Winter Classic Style Jersey is available at $3,500, while the Rick Nash worn 2015 – 2016 New York Rangers Jersey costs $3,500.00. Both the Jimmy Vesey and Rick Nash, New York Rangers jerseys are available at $3,499.99 each. Steiner Sports was stared in 1987 by Brandon Steiner who had a Mac computer and $4,000 and since have grown to the largest memorabilia company in America. Steiner Sports have since built good relationships with over 2,000 athletes, and its very first autograph was that of Joe Pepitone at the Old Yankee Stadium. In 2012, Steiner Sports celebrated 25 years of great success, and at the same time, Steiner had sold over $25 million worth of game-used dirt and more than $1 million in stadium turf and grass products. When you’re finally on your way to America, you can look forward to several stores offering some of the best sports memorabilia. It is one of the hotspots in the world for authentic sports collectables in excellent condition. The top sports memorabilia stores offer signed footballs to vintage boxing gloves. We’ve found the stores that can provide sports fans all the best memorabilia. The Brigandi’s store is based in 44th street in New York, and one of the most valuable collectables available at the store includes the 1960 Topps Football cards. The store has the full set. While fans can also find an unmatched selection of vintage playing cards, signed baseball bats and other almost impossible to recover sports memorabilia at Brigandi’s. Other items worth visiting the store for includes the Vintage PeeWee Reese Stadium Pin as well as several photos signed by Mickey Mantle and Roger Maris. The store is run by staff with incredible sports knowledge, which makes the whole shopping experience memorable. The complete 1960 Topps Football set consists of 132 cards, the set is hardly found complete, and most of the cards available elsewhere are of low quality. The Top football cards with the fewest example in PSA NM-MT 8 condition or higher is the #2 Alan Ameche of which only 18 was found in PSA 8 or better. 22 was found of #24 Sam Baker and 23 of Lou Michaels #69, while the PSA statistics also revealed that only 26 was found of #130 Gary Glick and 27 of Willie Galimore #14. Several Hall of Fame players are included in the 1960 Topps set, these include #23 Jim Brown, Johnny Unitas #1, UA Tittle #113, Bobby Layne #93 and Frank Gifford #74. The list of great valued sports memorabilia at the store also includes a baseball signed by Joe Medwick, with Burleigh Grimes and red ruffling currently available at $3,500. Baseball enthusiasts can even get their hands on a 1950 baseball signed by the New York Yankees during the World Series Championship now available at $3,250. The game-worn shirt of Vince Lombardi Green Bay Packers in 1965 is available for $175,000,00, while a signed photograph of Jim Thorpe of 1951 is available for $4,995.00. A vintage photo of the 1955 New York Football Giants is available at $2,250 while a signed photo of Walter Payton costs around $520. The game-worn shirt of Pele is available at the store for $35,0000 while the Pele singed Brazil World Champion banner is sold for $995. The black and white photograph signed by Pele is available at $930, while his inscribed jersey is $465 and a signed Pele soccer ball goes for around $249 on sale. Apart from sports memorabilia the store also stocks a vast variety of coins including half dimes, quarters, colonials, half cents, sets and silver dollars. February was a huge month for sport in the United States and March certainly promises to continue in the same vein. New England Patriots did what many sports news and predictions experts had tipped against at the start of February by defeating Los Angeles Rams to win their sixth Super Bowl in the last 18 years. Golf took centre stage the following week, with Phil Mickelson claiming his 44th PGA Tour victory with a comfortable success in the Pebble Beach Pro-Am. It was Mickelson’s second win in nearly a year and he will undoubtedly be hoping to repeat his success by claiming the 119th US Open at the same course during the summer. The Daytona 500 rarely fails to deliver excitement and this year’s event in the middle of the month was certainly no different. A spectacular 18-car pile-up with just 10 laps remaining left the Florida track littered with debris, although thankfully no drivers were injured. When the race resumed, Denny Hamlin clinched a 33rd career top-level US stock car series victory, and his second at Daytona after also winning in 2016. 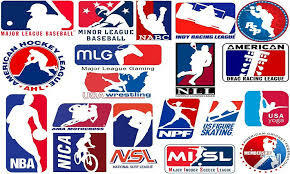 As February comes to a close and March heads into view, most of the focus in sporting circles will be on the NHL, NBA and the upcoming MLB season. The NHL is entering the final quarter of the regular season, with numerous teams jostling for a place in the play-offs. Tampa Bay Lightning are strong favourites to win the Stanley Cup, but the likes of Toronto Maple Leafs, San Jose Sharks, Nashville Predators and Washington Capitals can all be expected to put up a strong challenge. In the NBA, it is impossible to look beyond the star-studded Golden State Warriors to claim their fourth title in the last five seasons. MLB gets underway on March 20 with four sides vying for favouritism to win the World Series. Boston Red Sox claimed the trophy in 2018 and they are sure to put up a strong defence this time around. Hot dogs remain one of the most enjoyed American fast foods. These are not only great during movies as a quick meal or quick bite to eat during shopping, but also a major favourite at the sports stadiums. Hot Dogs’ history goes back all the way to the 15th century to Austria and Germany, although it is mostly known as a meal made famous in the 1800s by German immigrants. The first cart to sell hot dogs in New York was owned by Charles Feltman in 1871. It became massively popular and the first cart to sell hotdogs at baseball park was in 1893. It is here where the bond between hot dogs and baseball started. According to 2012 statistics, Americans spend over $1.7 billion on their favourite food, which is hot dogs, although this amount spent in supermarkets and no statistics are available for sales at ballparks. In 2017 in Atlanta the SunTrust Park was opened by the Braves, this hotdog shack offers a great variety of hotdogs to the fans. The most popular of all is the Dixie Dog offering a healthy helping of creamy slaw, pulled pork, pickles, and a mustard-based sauce. This is served on a footlong roll containing a half pound all beef dog. The sports stadium where the newest version of hot dogs was added recently is at Wrigley Field. The most popular is the Vienna Beef Chicago Dog, while sports fans can also look forward to plenty of local flavours in the Hot Doug’s and Hot Dog Pizza Combo added in 2017. The Chicago Dog consists of a grilled Vienna hot dog served with neon relish, yellow mustard, sports peppers, diced onions, celery salt and tomato wedges stacked into a poppy seed bun. The Pilsen Dog is topped with roasted corn and offers a charred Vienna, seasoned with Tajin and lime-cilantro aioli seasoning. The Kimchi Dog offers a fresh new taste and consist of kimchi, pickled ginger aioli and crispy braised pork. The Bao Wao Dog also offers a charred Vienna seasoned with mint, Sriracha aioli, carrot and pickled daikon. The Wrigley Dog offers a Vienna seasoned via relish consisting of pickle, diced onions and tomato, and sports pepper, completed by celery salt and mustard. Visiting the Coors Field offers all sports fans the opportunity to enjoy the New Colorado Rockies Dog, which is a foot-long hot dog with sauerkraut, onions and peppers. In 2018 the Coors Field menu was extended via several new hot dog flavours including the Triple Play Dog consisting of pulled pork, purple slaw and crumbled bacon bits. Other new Dogs added includes the Beachcomber Dog, Diablo Dog, Elk Brat, New York Dog and the Denver Dog. Then there is also the Sante Fe Dog, featuring an extreme dog topped with shredded jack cheese, red chilli, sliced jalapenos and diced red onion. New York City is as much appreciated for its range of super sports bars as it is for its impressive billboards. It simply never gets better than this, whether you’re a soccer, hockey, baseball or football fan, the big city offers plenty of places where you can cheer for your team! Should you wish to rate the sports bars in New York City, Standings will get gold, and visually it instantly impresses with the Minnesota wrestling pennants that hang on the wall, next to that is the jets jerseys display. Plus, there is plenty of other sports memorabilia that adds to the atmosphere and makes it the perfect place to take a seat and watch the game on one of eight big screen TVs. Should you require a refreshment, there are the 12 rotating beers on tap, that goes really well with pizza and you are allowed to bring your own food if you wish. Standings is what any sports enthusiastic would call a serious sports bar and well worth getting excited about, it focusses on the game and keeping everyone happy. It’s been voted the best bar in the city a couple of times and even though it is not a huge bar it has no problem in turning up the volume, once the game starts. Ready to watch the Giants or the 49ers? 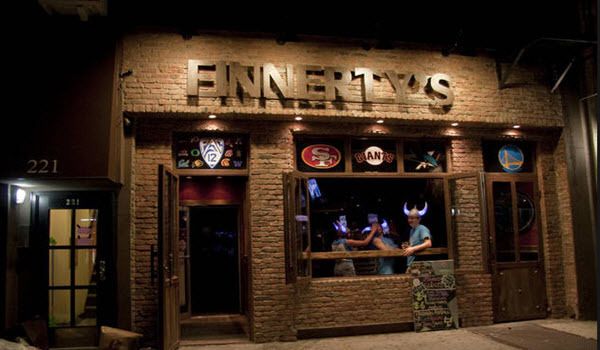 Finnerty’s is the place you need. It is a great sports bar located in the best spot possible for take-out food lovers. Many of the fast foods around the pub remain open till late to offer pub-goers a variety of food since Finnerty’s have no kitchen and only focusses on sports. Tons of TV’s ensures that everyone can watch the game, which is most of your visit, apart from having a few beers. If you’re a pizza lover, both Joe’s Pizza and Han Dynasty is right there, while Finnerty’s features on every list of top NYC sports bar’s. Located in Orchard-street, it is often the bars title that first gets the attention of the crowd, but once you’ve been, you’ll know why it’s packed during games and weekends. It’s a fun place with TV screens all around, and sports devotees can be assured of special prices on beers during the game and afterwards. Hair of the Dog also serves pub food, and the favourites are the French Toast Sticks and Pizzadilla. If you not a keen sports fan you might want to give this one a miss as the crowd don’t hold back when it comes to cheering on their team. The barmen love playing tricks and often encourage customers to order coffee, so they get to spike it a bit. Monday’s all beers are half the price, and on Sunday’s you get half-priced Bloody Marys to recover from the match, or if you up to it, you can also have a few beers at half the price.